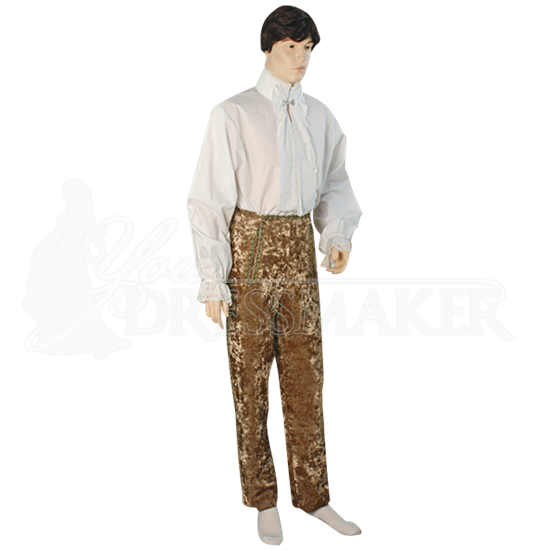 Luxurious and shimmering, the Mens Crushed Velvet Pants are a fantastic choice for regal reenactment looks. These authentically inspired pants feature golden trim along its traditional front flap closure and down the sides of each leg. Well suited for characters of nobility and special occasions, the Mens Crushed Velvet Pants are handmade with skill and attention to detail. Their luxurious appearance makes them ideal for royal characters and for complementing Baroque or Victorian looks.